A car crashed into a set of traffic lights this afternoon (Thursday, January 28). 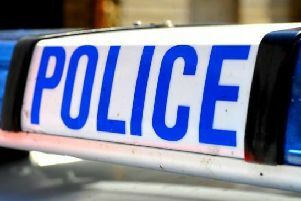 Police were called to the junction between Two Waters Road and London Road, Hemel Hempstead, at 2.23pm. Two cars had been involved in a collision, which caused damage to a metal barrier and a set of traffic lights. No one involved is believed to have been injured. The road remains closed while the two cars, believed to be a small silver hatchback and a BMW, are awaiting recovery.